United Airlines announced that it has renewed its partnership with the National Association of Hispanic Journalists (NAHJ). United will be the official airline of special events for the organization in 2012. 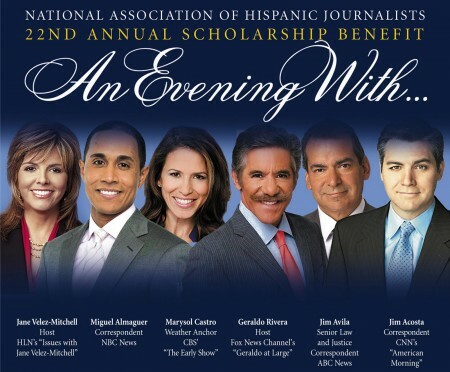 The United-NAHJ partnership includes support for seven events: the 2012 NAHJ Hall of Fame Gala during the UNITY Convention, August 1-4, in Las Vegas – the nation’s largest gathering of minority journalists; the NAHJ 23rd Annual Scholarship Benefit in the fall; and five NAHJ regional events to take place in Albuquerque, Los Angeles, New York, Chicago and Washington, D.C. Filed Under: LATINO MARKETING Tagged With: Continental Airlines, Hispanic and Latino Americans, John Slater, Los Angeles, MileagePlus, NAHJ, National Association of Hispanic Journalists, Race and ethnicity in the United States Census, United, United Continental Holdings, Washington D.C.